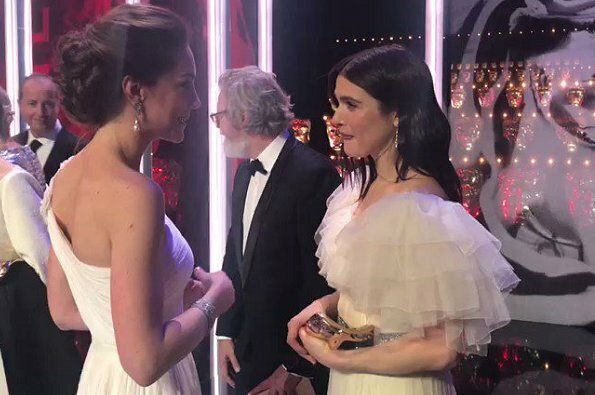 On February 10, 2019, The Duke and Duchess of Cambridge attended the 72nd EE British Academy Film Awards ceremony held at the Royal Albert Hall. The Duke is the President of the British Academy of Film and Television Arts (BAFTA). The Duke and the Duchess met with representatives of BAFTA and watched the ceremony. At the award ceremony, The Duke of Cambridge presented the Fellowship award. The British Academy of Film and Television Arts or BAFTA Film Awards are presented every year with an award show which is hosted by the British Academy of Film and Television Arts (BAFTA) to honour the best British and international contributions to film industry. I love it too, gorgeous. Her skin radiant these, no more wrinkles or tired face. Her beautician is doing a splendid job. WOW, now that is a dress. Dss Kate looks fantastic. And Diana's earrings and bracelet. They are wonderful,well fitted lovely gown, natural makeup and genuine smile, perfect. What can I say but just BEAUTIFUL! Gorgeous! Wearing Diana's earrings. She looks so beautiful! The dress is classic, nothing glamour nor stylish, more of a bridal look for my taste. I'm quite shocked of how thin she has become, and her make-up really gives her a harsh look. What a beautiful dress, and gracious lovely Catherine wears it so well. She looks like a princess, wait, she IS a princess who is the Mum of three small children! Her hair and makeup are spot on, she looks so soft and lovely this evening. Prince William looks dapper in his tux. Stunning dress, she looks good; I think lighter eye makeup will be better. A real English Rose. Simplicity is BEAUTY!!!! Natural beauty and elegance, georgeous! Like a little girl said: "Wow, a real Princess!!" So beautiful! Love everything: dress, hair, shoes, earrings... And a lovely couple too. Catherine outshone all tonight. Dress is a floaty, yet perfectly-fitted dream; Diana's earrings are gorgeous and it is wonderful to see them again. The Queen's bracelet is a diamond stunner. I think her makeup was right for the occasion, which was all-out glamour. Although I would have preferred that minty color rather than the white, as to avoid the slightly bridal look, I still LOVE this dress, she looks magnificent. I am picky about updos, but she nails this one, love the makeup and the earrings, I am glad that she didn't add extra jewelry. Fantastic look altogether!! Princess Catherine is always very elegant and has a lot of class. I recognize Diana's earrings ! fan-tas-tic. Just fab, fab, fab. The Duchess is beautiful. Hair is fantastic and the dress just gorgeous. Personally, I prefer the pictured mint green but it's a really fantastic look in any colour. Stunning dress, makeup and accessories! Catherine looks fabulous!!! La duchesse est éblouissante de beauté, d'élégance et de grâce ! I like seeing Kate's hair higher up. It has a more youthful look. The jewelry is the perfect touch, with the bracelet balancing out the shoulder of the dress on the opposite side. Diana's earrings are perfect with the overall look. I am wondering if they are Chanel? 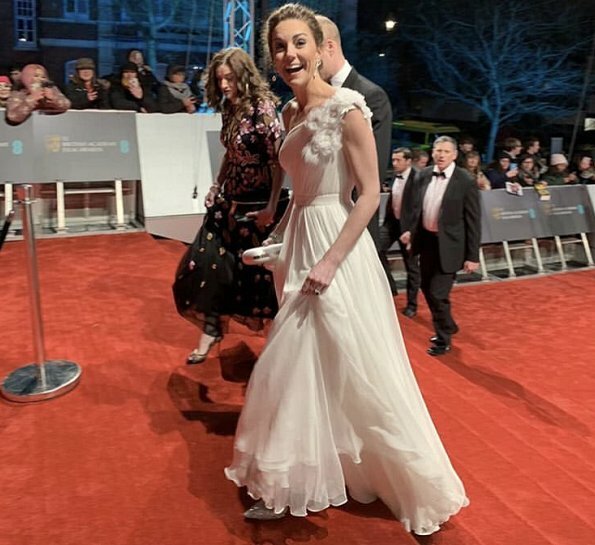 Every compliment that could be said regarding Kate's appearance has been said so I know I'm being redundant but quite simply she looks stunning. Her dress fits her perfectly and the style suits her. A simply classic look. Her hair is beautiful and wearing Diana's jewellery just gives her overall appearance that extra touch of glamour. Prachtige jurk aan een slank lichaam. Mooie kwaliteitsvolle haren en mooi kapsel. Heel vriendelijk ook bij al haar bezoeken. Wow she looks so beautiful;the dress is so stylish and floaty. 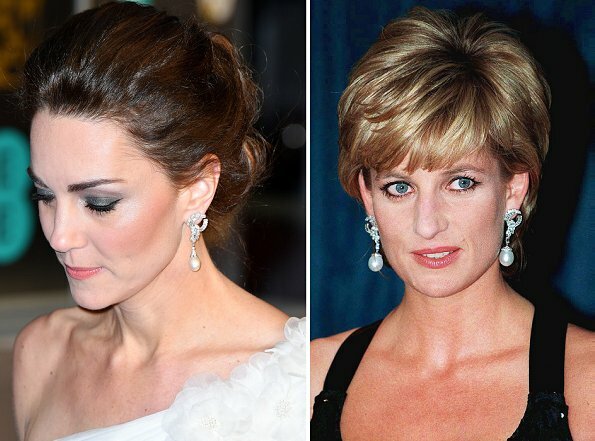 The earrings are lovely;Princess Diana always looked so amazing in whatever she wore. Beautiful; both present well. A good night for unity, acting and diversity. This is dignified glamour at its best. As for comments about her being too thin, I don't think so. My daughter has got same built and I used to worry a lot. However, the doctors assured me that it was OK for her and suggested I looked at her hair for indication. If a person is too thin, the hair suffers first. No styling product will mask it, it will give you away. Catherine's mane is gorgeous and very healthy in spite of all that styling she has. All my 5 daughters look like Catherine, so did I, when younger. We all eat well and everything. Now as I am 57 I am not so thin anymore.. It's not about Catherine being slim. One side says Catherine is old, slim and boring while the other side says Meghan is social climber, narcissistic and selfish. I hope this situation ends soon. 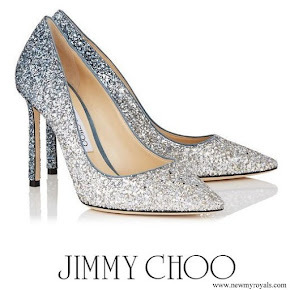 Fabulous, from head to toe! Bravo!! Catherine looks awesome from head to toe. Amazing! Dress, hair, shoes, jewelry... wow. Lovely updo. 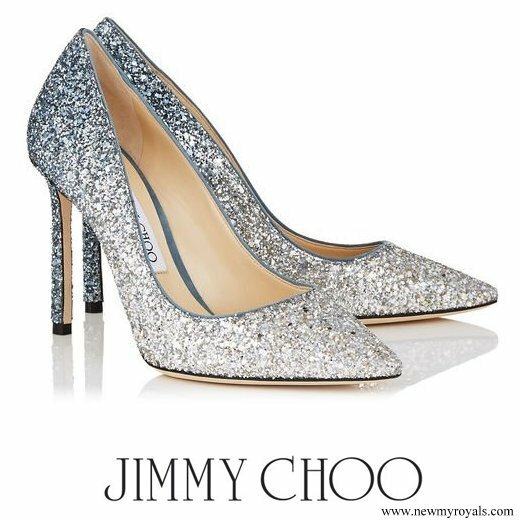 A classic royal look! Stunning, white is perfect but I would like to see the pink edition someday. The earrings are really gorgeous -- much more attractive with the modification. Gown is classic. Catherine's whole look is quite classy, dignified and regal. Her makeup is perfect for this occasion. She looks quite happy and healthy. Lord William is one lucky man. She literally took my breath away, shes just a vision. This her best Bafta look in my opinion its so classic, glamorous, and so regal. Kate is so damn gorgeous!!! Herzogin Catherine ist einfach bezaubernd in dieser atemberaubenden weissen Robe !! Agree with the most of the comments up , what shall I say more ? Duchess Catherine looks beautifully perfect. Prince William and his wife are just gorgeous . Nice dress and hair- too much make-up.